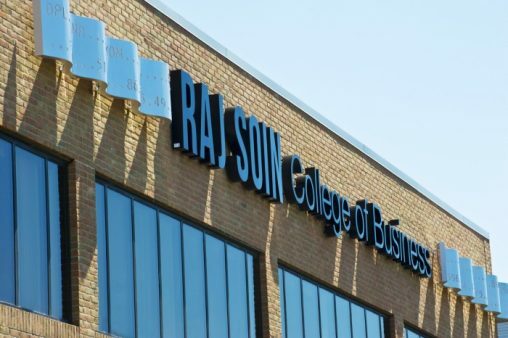 The Raj Soin College of Business is one of the select business schools to simultaneously hold the designations of AACSB accredited, Princeton Review Best Business School and U.S. News and World Report Best Business School. The Princeton Review compiled its list of 252 best on-campus MBA programs based on a combination of institutional and student survey data, including career outcomes, admissions selectivity and academic rigor, among others. “In addition to the high level of respect garnered by the Raj Soin College of Business MBA, the program offers a very high level of flexibility to students wishing to progress at their own pace, take classes online or on campus, and has a wide selection of concentrations — all at the lowest in-state tuition among Princeton Review’s Best Business Schools in Ohio,” Traynor added. Wright State’s Master of Business Administration Program develops managers and leaders whose understanding and vision encompass the total organization. Graduates work effectively within and across functional areas and understand the entire organization and its environment. The Princeton Review is a privately held education services company headquartered in New York and is not affiliated with Princeton University.